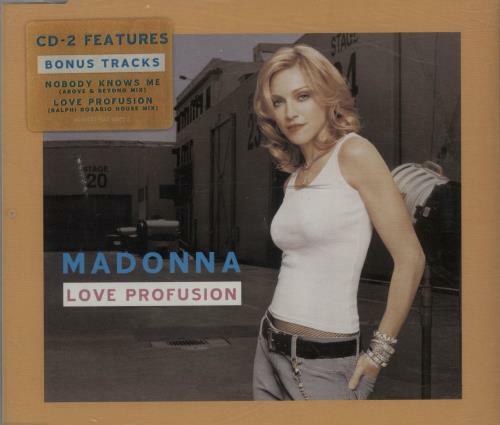 MADONNA Love Profusion (2003 UK 6-track 2-CD single set featuring 'Nothing Fails' plus Above And Beyond, Passengerz and Ralph Rosario remixes. Each part comes with its respective picture sleeve and hype stickered case). 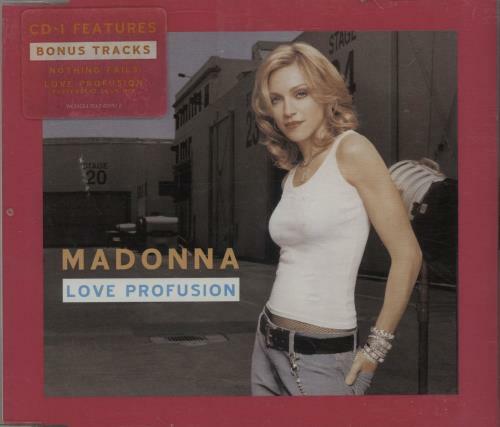 or visit our Madonna image gallery.